Rock Hard Landscape Supply prides itself on its extensive supply of natural stone. We have one of the largest inventories and widest selections of natural stone products in the area. We stock many varieties of natural wall stone, natural flagstone, natural stone steps, steppers, and natural stone edging. Our landscaping stone comes from destinations that include Minnesota, Wisconsin, New York, Colorado, Arkansas and Washington. 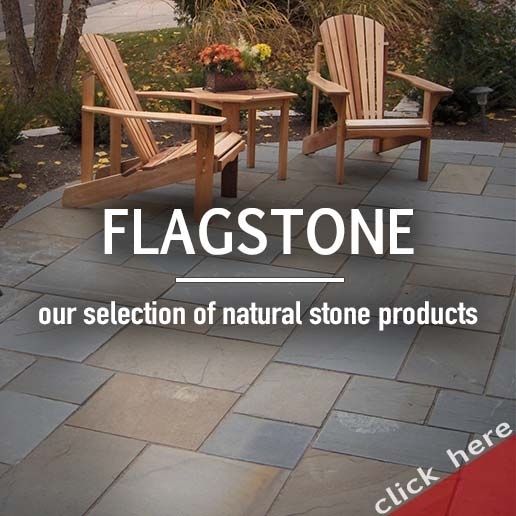 We carry Chilton, Fond Du Lac, Bluestone, Lilac, Iron Mountain, Desert Bronze, Door County and many other kinds of natural flagstone and wall stone. We also carry Bluestone cut and patterned flagstone. 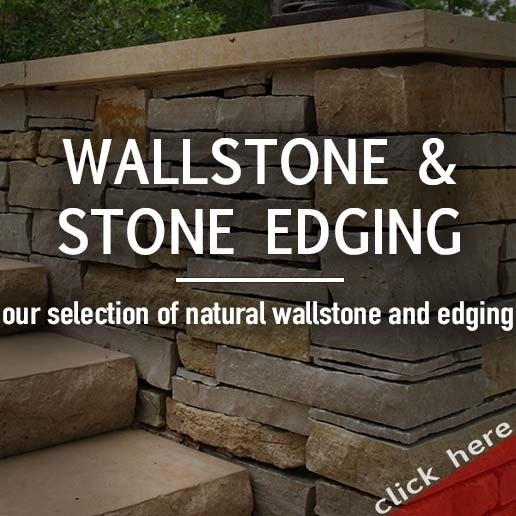 We feature a wide variety of natural stone cut, outcropping, and flagstone steps. We have 36" or 48" cut steps and various styles of outcropping steps. 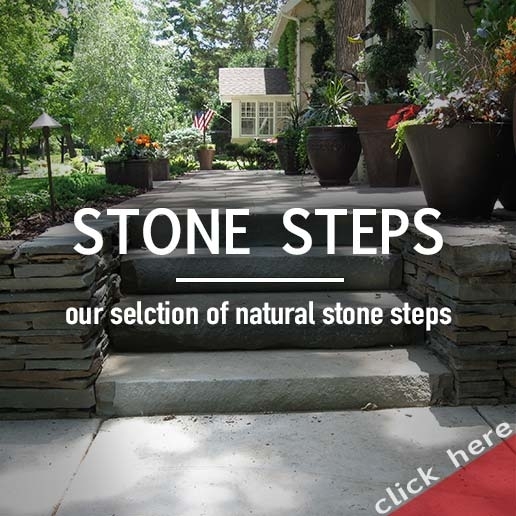 Some of the steps we supply include: Glacial cut boulder steps, Highland brown, Granite carnelian or charcoal, Fond Du lac, Chilton split-faced or weathered edge, Highland brown, Desert Bronze, Minnesota buff, Bluestone, Cafe, Sandy creek, and Door County. Our natural wall stone includes many of the same varieties and comes in heights that range from 2" to 5" and some up to 7". 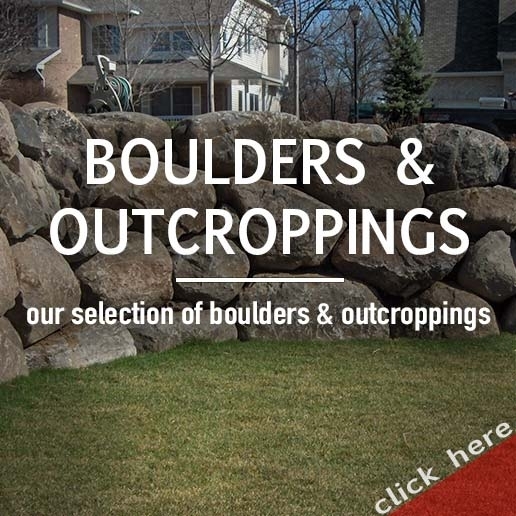 Landscaping stone adds character, class, and beautifies any landscaping project.